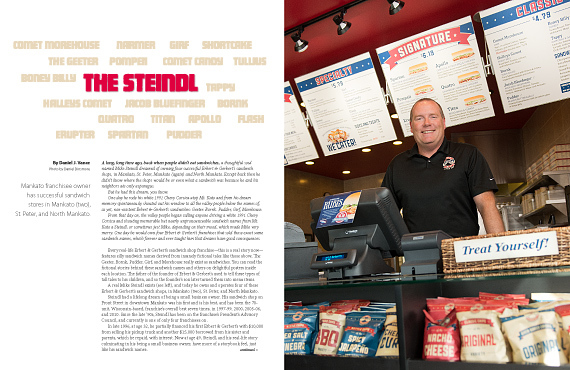 A long, long time ago, back when people didn’t eat sandwiches, a thoughtful soul named Mike Steindl dreamed of owning four successful Erbert & Gerbert’s sandwich shops, in Mankato, St. Peter, Mankato (again) and North Mankato. Except back then he didn’t know where the shops would be or even what a sandwich was because he and his neighbors ate only asparagus. From early on in life, Brittney Anderson would begin learning the essentials of later managing New Ulm Event Center and Minnesota Wedding Shop, both co-owned by Rich and Lynnette Draheim. 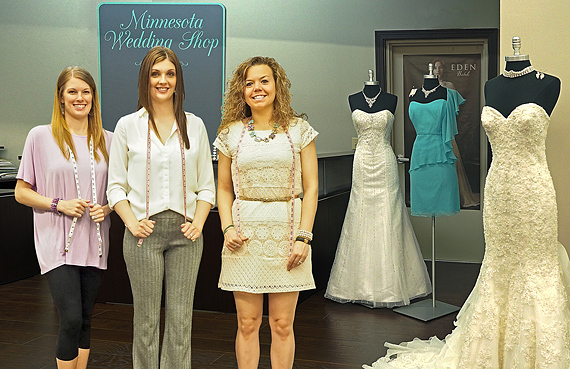 Minnesota Wedding Shop opened in May 2014 near Hy-Vee. John Landsteiner is only 21, and as a Fairmont native before age 18 attended two different high schools in Wisconsin, and two colleges, Presentation College and Minnesota West. 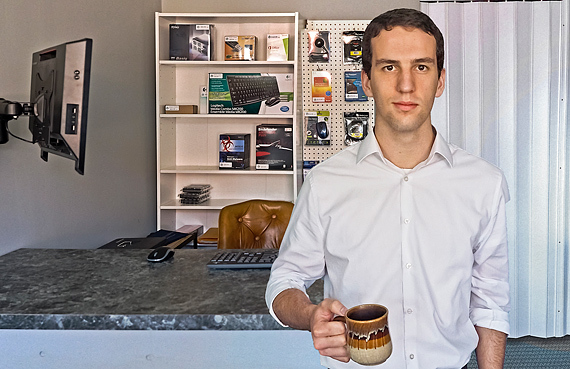 He technically began his business two years ago, but didn’t have a storefront until recently. 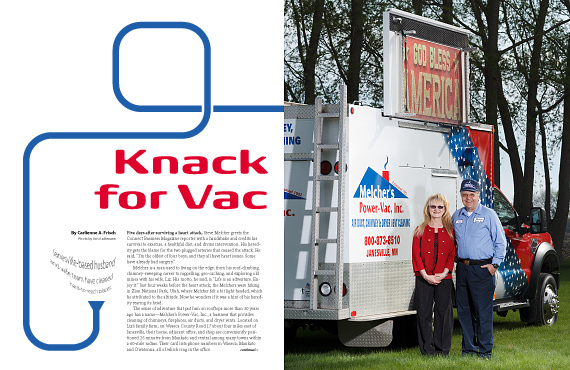 From regional healthcare providers to chimney sweeps to creative sandwich names, Connect Business Magazine covers the gamut this July/August issue to offer everyone something. The upper management team, which includes Chief Executive Officer Randy Farrow and Chief Medical Officer and Psychiatrist Dr. Julie Gerndt, began charting about six years ago a much more bottom-up, egalitarian course involving patients and providers rather than one top-down, do-as-you’re-told. 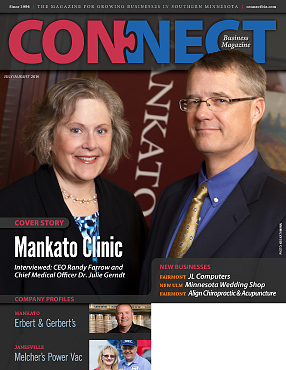 Also, The Mankato Clinic Foundation, which receives funding mostly from its owner/physicians, has caringly and quietly donated more than $1 million over the last five years to regional causes.